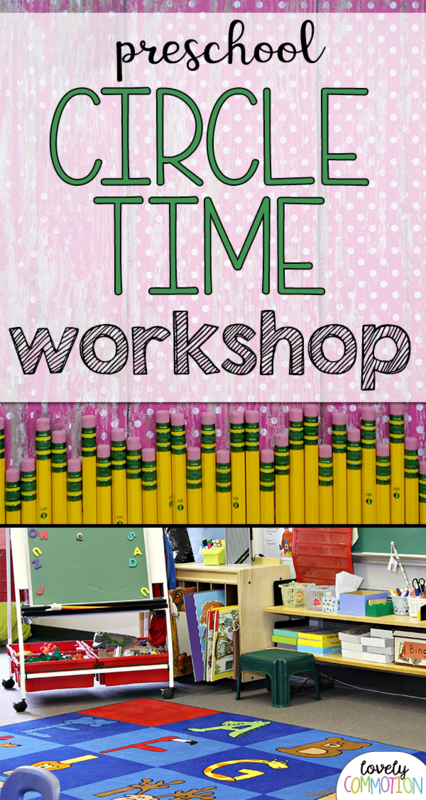 I love to create new experiences for my preschoolers. 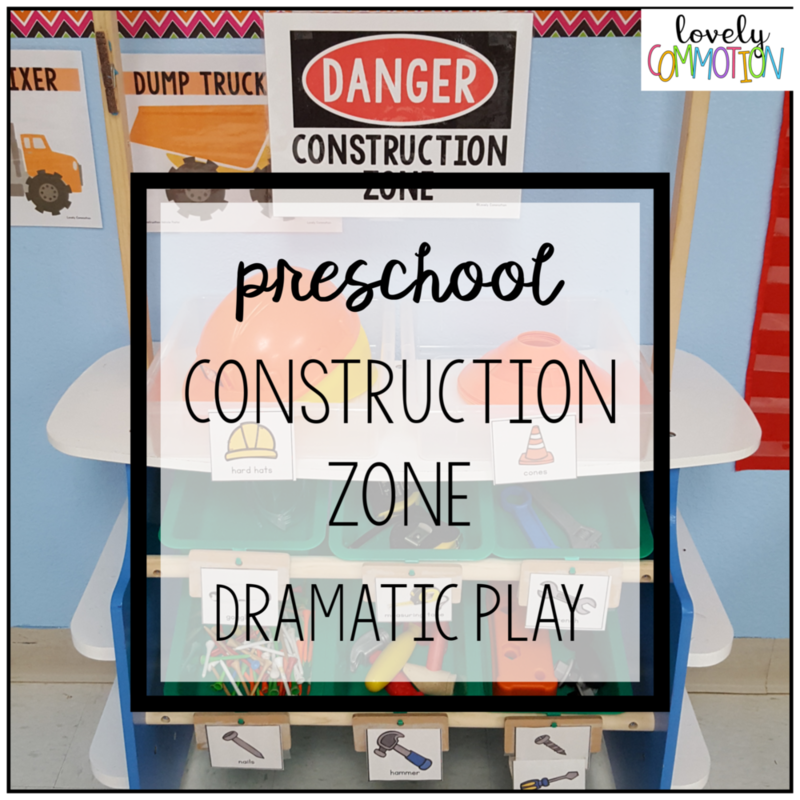 Creating a Construction Zone in our Dramatic Play center was another one of these experiences! 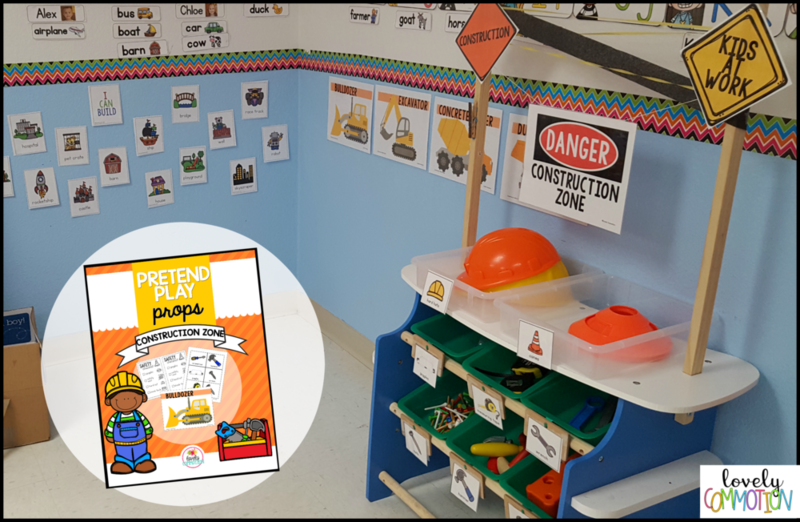 This construction theme expands on a love that many children have - building! Before opening the center, I modeled how to use the golf tees and the child-sized hammers. I only allowed students to hammer the golf tees into the foam pieces or the cardboard boxes - not the blocks. 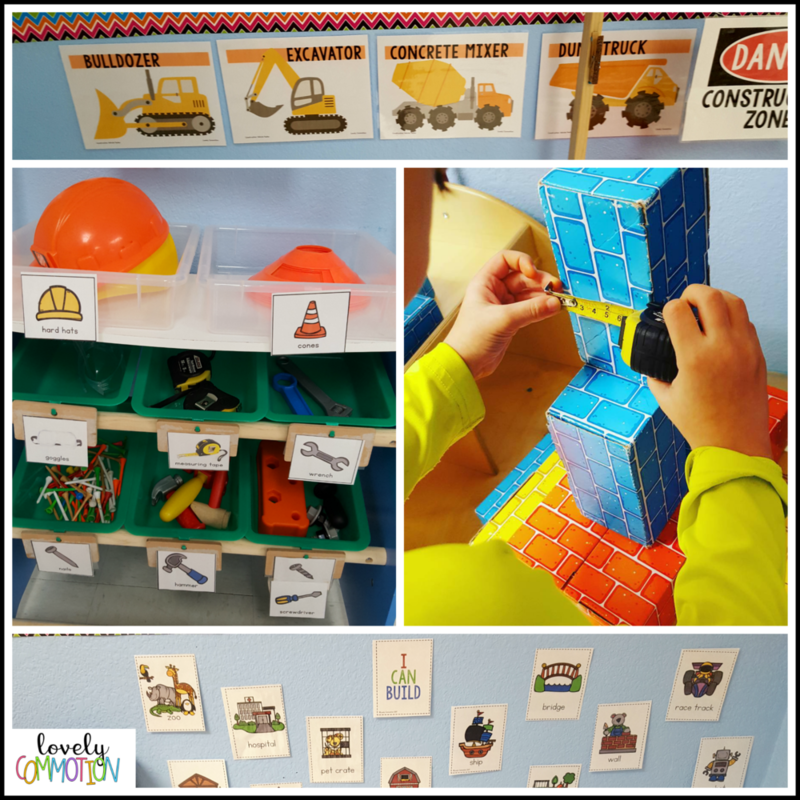 Students got to work very quickly and I found them making buildings with the blocks, measuring their structures and working together. They also did a lot of hand-eye coordination practice when they hit the ‘nail’ golf tee into the boxes! This center was so popular, we had to set a timer to take turns hammering!